Magnolia Mamas : Share a Snack, Share a Smile! 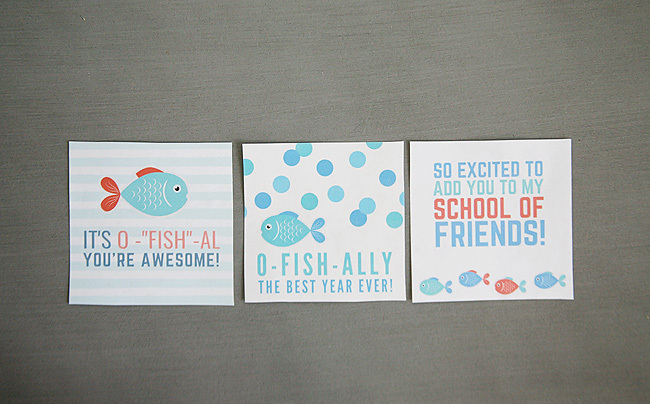 Summer break might be officially over, but summer itself is still in full swing! We aren't completely on our full Fall schedule yet, and aside from school we are still able to enjoy our favorite summertime activities during our free time. 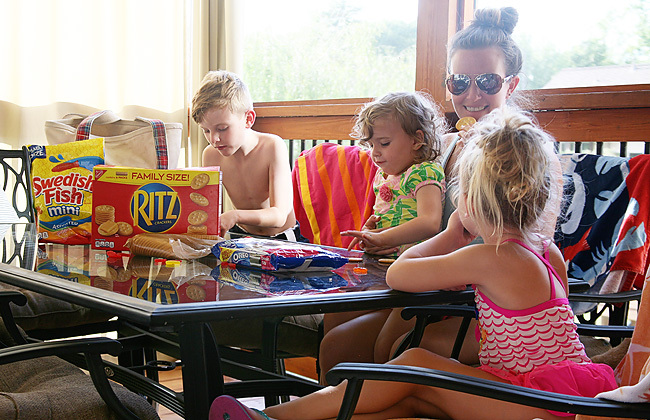 We still get to play with friends, splash in the pool, ride around on the boat, and soak in all the laid back feels summer has to offer before the real chaos begins. Regardless of the season, one thing continuously remains a constant - my kids are snacking machines! 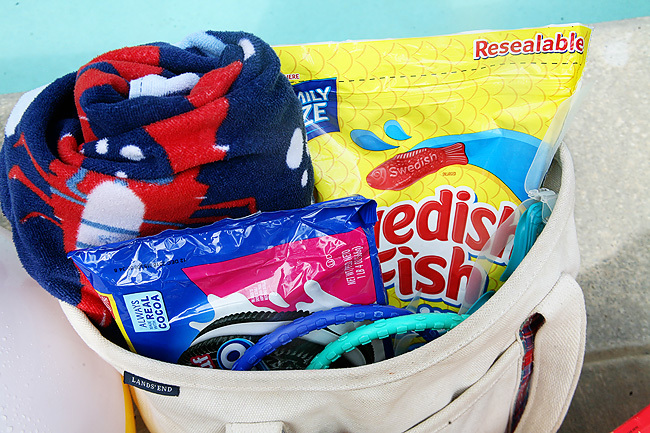 I learned long ago not to ever leave the house with out a diaper bag full of options for that inevitable moment when one of those adorably tiny voices would state they needed a snack. Which also inevitably turns into an epidemic. Because once one tiny voice utters the word "snack", any human under the age of 18 with in a 15 mile radius will also instantly become hungry too. You best be prepared. As The Cutes have gotten older, not much has changed. Their appetites are larger, and the amount of snacks those tiny little bodies can consume only to hear 30 minutes later they are "starving and need another snack" is shocking. Where does it all go?! In Summer I notice my tiny little humans seem to crank it up a notch. All those cannon ball contests, lightening bug finding sessions, and countless backyard soccer games all seem to make their appetites insatiable. I had to up my game in the snack department and start bringing larger portioned options everywhere I went. At some point I was nervous a rolling suitcase might seriously have to become my new accessory. Each of my children have different snacking preferences. 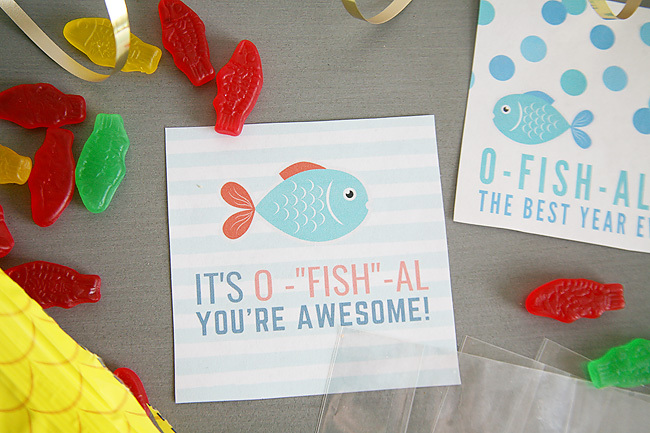 Some prefer saltier snacks and some prefer sweeter options. Personally, I am an equal opportunity snacker, and take full advantage of sampling their snacking choices. When we are grocery shopping at Walmart I let the kids go through and pick out what snacks they want each week. They rotate what they love the most but our staples seem to be Honeymaid Grahams, Ritz Crackers, Swedish Fish, and - my personal favorite - OREOs. Walmart has such a great selection of NABISCO snacks, and are always well stocked in the Family Sized packs. It makes shopping so easy! The Family Sized packs are perfect for sharing and are also typically packaged in easy to travel with resealable containers. So in the off chance The Cutes and their friends don't consume every single last crumb, we can reseal them and bring them again on our next pool or playground adventure. 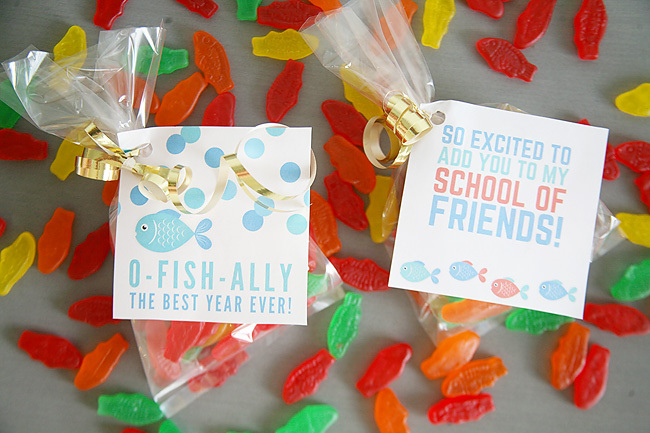 Now even as our lives transition over to back-to-school mode, not much in the snacking department changes. The Cutes lunch boxes get filled with their favorites and they can often be seen on the sidelines of practice munching and laughing along with their teammates. 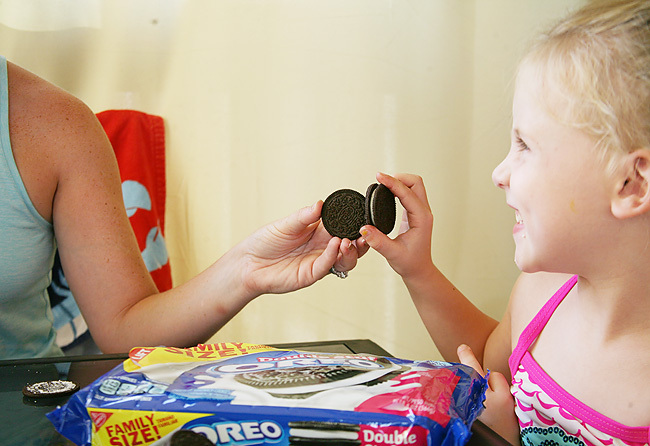 NABISCO has so many fun ideas and recipes you can make with their snacks too. 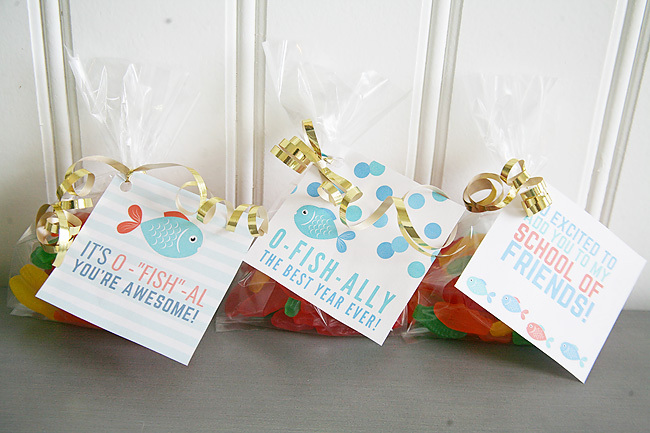 I love perusing their Snack 'N Share Board on Pinterest for inspiration! 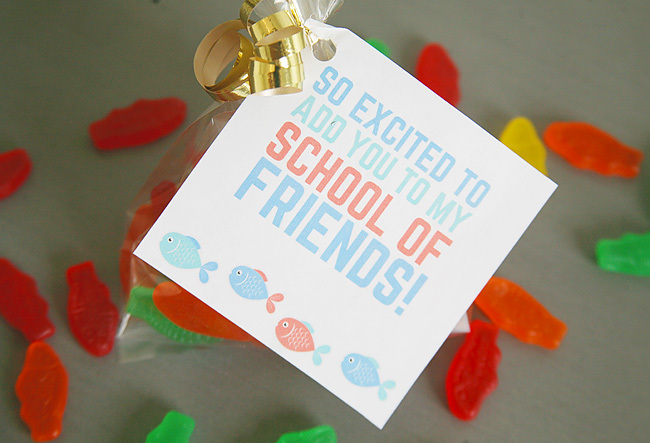 With summer still on our minds, and snacks always on our brains, we decided to take our snack sharing to the next level. The first week of school for us really does fall smack in the middle of summer. So we thought why not try keep that summer vibe alive as long as possible? 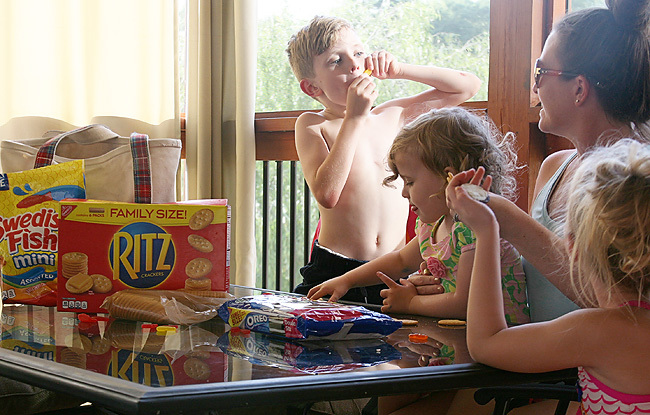 The Cutes wanted to bring one of their favorite summer snacks to share with their new friends. 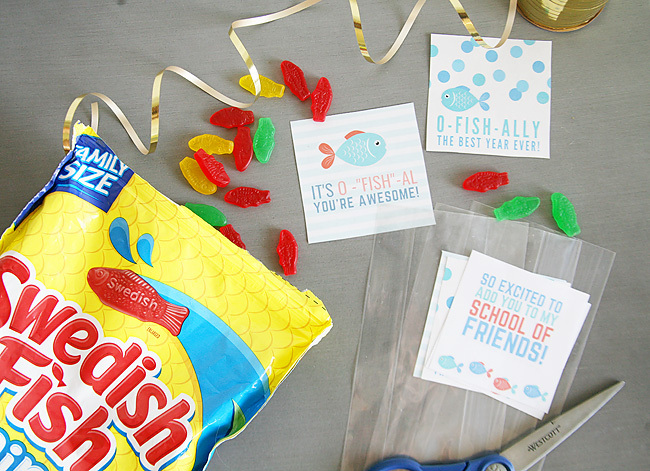 So we grabbed several of the family sized packs of Swedish Fish, and created these fun fish inspired printables. 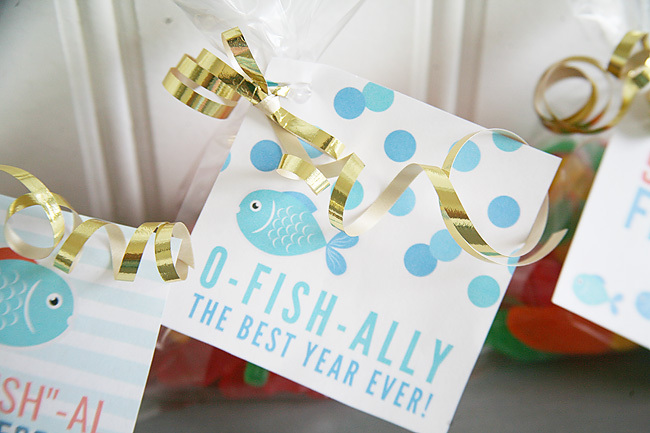 We packaged up a large scoop of those yummy gummy fish into a treat bag, and tied one of the fish themed tags to it with curling ribbon. 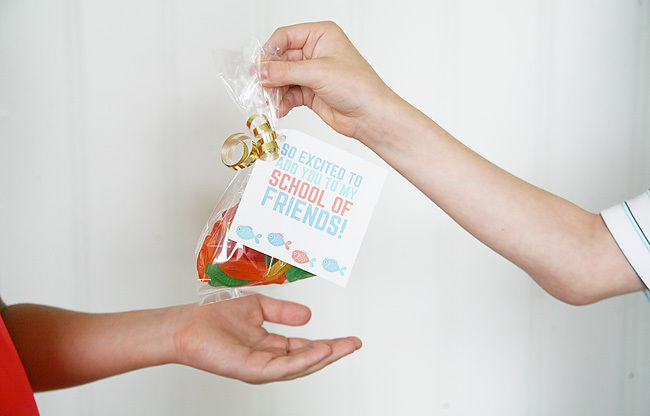 The kids were so excited headed to school to share a little taste of summer with all of their friends new and old. They said it brought a HUGE smile to their new friends faces! Now outside of our own little extra fun with our snacks, NABISCO is having a little fun on their own. They are hosting the Snack 'N Share Sweepstakes where you can win $10,000 and the chance for lots of other great prizes too! 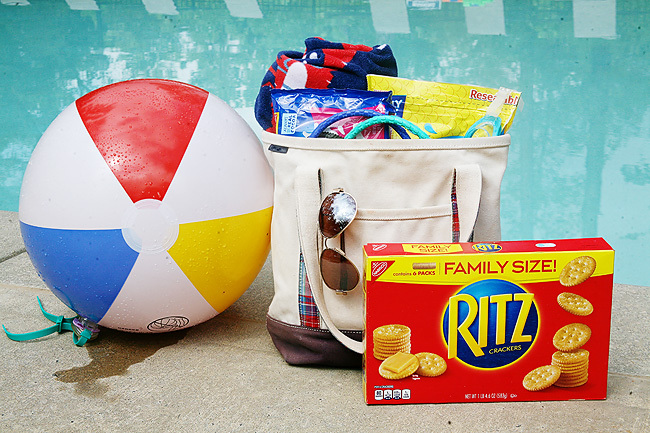 All you have to do is share a picture of your family and/or friends enjoying their favorite NABISCO snacks throughout the summer. How awesome is that?! I mean that's at least a month or two of snacks covered right? 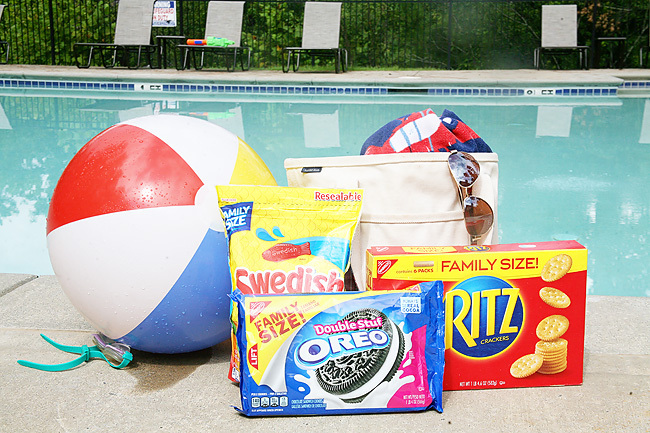 Shop Walmart this summer for your go to NABISCO snacks, snap a few pictures, and you could be a winner! 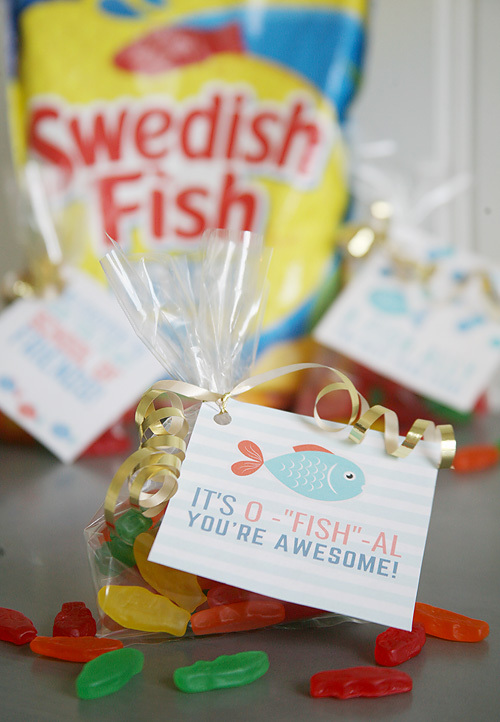 Just share your picture on social media with the hashtags #snacknshare and #sweepstakes. Visit the Snack 'N Share Sweepstakes page to play and for details including free method of entry. 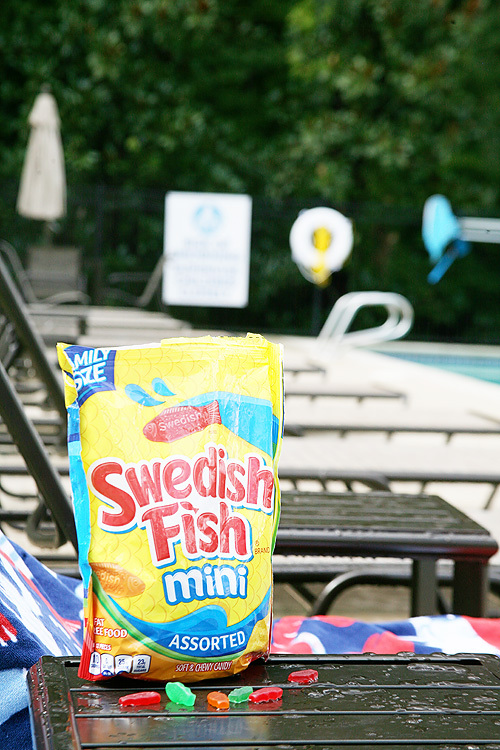 What are some of your kids favorite summertime snacks? Do they prefer a salty or sweet snack?